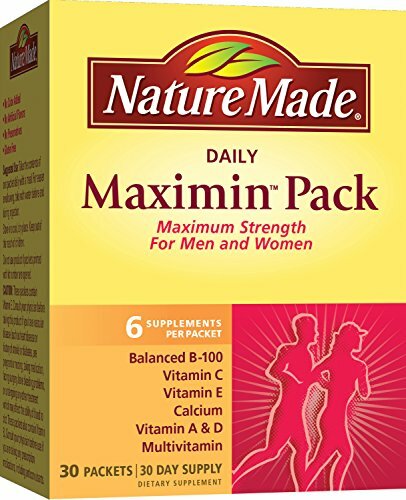 Nature Made Maximin Health Pack is formulated for those people always on the go. With today’s demanding lifestyles and busy schedules, finding the time to eat a well-balanced diet isn’t always possible. 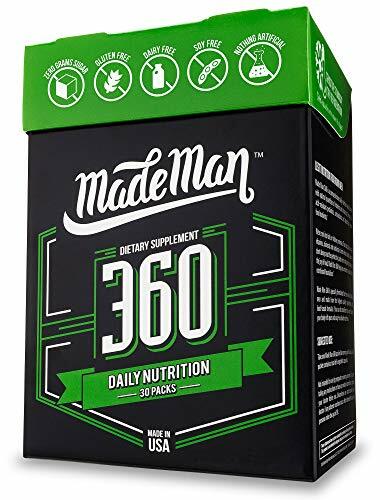 Nature Made Maximin Health Pack provides a complete, full potency formulation of vitamins & minerals to help deliver essential nutrients that may be missing from your daily diet. The Daily Maximin Health Pack is formulated to support a healthy heart, bone health, joint health, immune function, and energy. 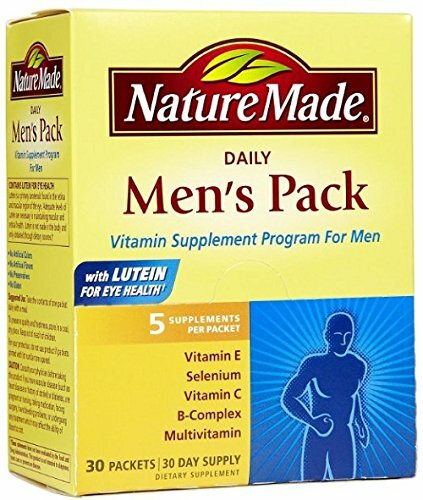 Men's Pack provides vitamin C, E, Selenium, a B complex and a multivitamin. Vitamins C, E, and the mineral selenium are important antioxidants. Antioxidants fight to stop cellular damage. B vitamins are involved in many reactions that take place in our body. They are needed for proper metabolism, mental function and have recently been linked to heart health. And, an additional multivitamin/mineral supplement ensures adequate intake of other important vitamins and minerals. Choosing supplementation based on gender is a smart way to start a nutritional supplementation program. Men's Pack can be recommended as part of a daily regimen for Men's Health, 4 Basic Vitamins. 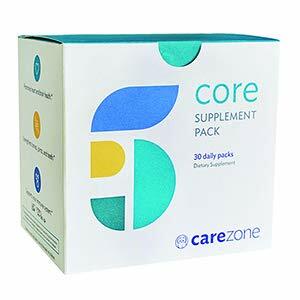 The CareZone Core Supplement Pack is an expert formulation of vitamins and minerals designed to help deliver the essential nutrients that may be missing from your daily diet. Each box contains 30 daily packs that you can take at home or on-the-go, making it easy to take your vitamins. 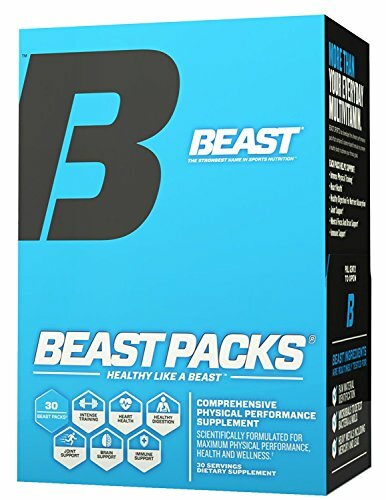 Each daily pack includes a Core Essential Multivitamin, Alaska Wild Fish Oil Omega-3, Hi-Potency Vitamin B, Prolonged Release Vitamin C, and Extra Strength Vitamin D3. The Core Essential Multivitamin boosts daily nutritional support with 31 essential vitamins and minerals. The Wild Alaska Omega 3 Fish oil softgel is odorless and easy-to-swallow. The Hi-Potency Vitamin B-12 tablet contains 5000mcg helping improve your energy and immune system. The Prolonged Release Vitamin C tablet contains 1000mg and is designed to support your immune system throughout the day. The Extra Strength Vitamin D3 contains 2000 IU and promotes bone, tooth, muscle and immune health. This product is manufactured in the USA in a cGMP, FDA inspected facility. The supplements contained in this product are gluten-free. Dietary Supplement Supports Bone Health & The Immune System* Vitamins, Minerals, Herb Multivitamin Fish Oil 1000mg 1800 IU of Vitamin D3 1100mg of Calcium Per Daily Pack Cranberry 30 Day Supply Gluten Free Multivitamin formulated especially for women's health. * Key nutrients help maintain bone health. * Enteric coated fish oil supports heart health with no fishy aftertaste. * *These statements have not been evaluated by the Food and Drug Administration. This product is not intended to diagnose, treat, cure, or prevent any disease. 100% Satisfaction guaranteed with all Walgreens products or your money back. Warnings Contains: Sardines, Anchovies, Soy, Coconut. Accidental overdose of iron-containing products is a leading cause of fatal poisoning in children under 6. Keep this product out of reach of children. In case of accidental overdose, call a doctor or poison control center immediately. Do not use if printed packets are torn or punctured. 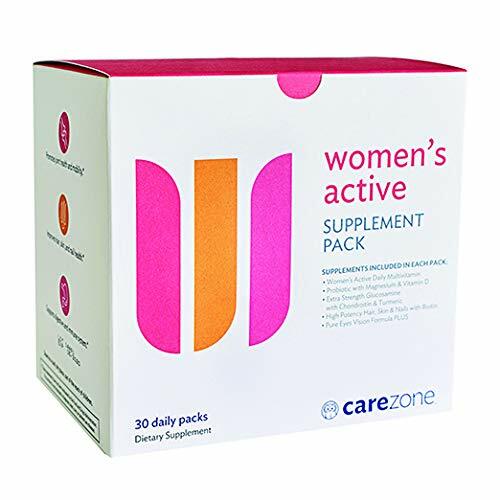 The CareZone Women's Active Supplement Pack is an expert formulation of vitamins and minerals designed to help deliver the essential nutrients that may be missing from your daily diet. Each box contains 30 daily packs that you can take at home or on-the-go, making it easy to take your vitamins. Each daily pack includes a Women's Active Daily Multivitamin with Calcium, Probiotic with Magnesium & Vitamin D, Extra Strength Glucosamine with Chondroitin & Turmeric, High Potency Hair, Skin & Nails with Biotin, and Pure Eyes Vision Formula PLUS. 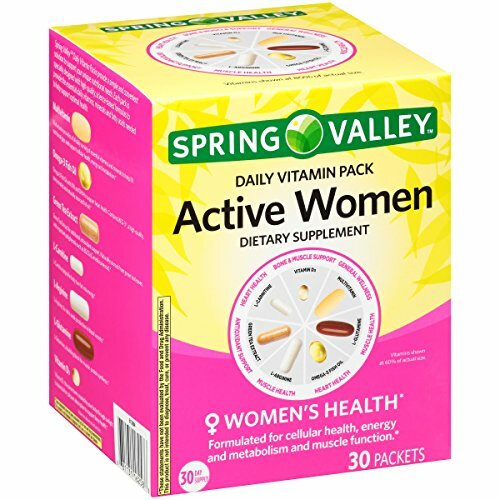 The Women's Active Daily Multivitamin with Calcium boosts daily nutritional support with 12 essential vitamins and minerals. The Probiotic with Magnesium & Vitamin D contains 25 Billion CFU and 2000 IU Vitamin D3 which supports daily immune and digestive health. The Extra Strength Glucosamine with Chondroitin & Turmeric promotes joint health, mobility, and comfort. The High Potency Hair, Skin & Nails contains 7000mcg Biotin and improves hair, skin, and nail health. The Pure Eyes Vision Formula PLUS supports visual function and promotes macular health. The supplements contained in this product are gluten-free. 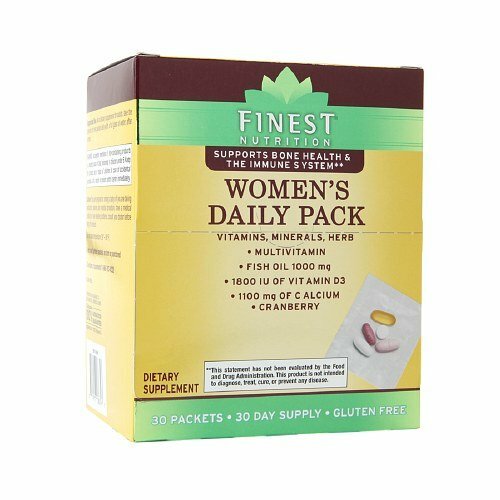 Looking for more Daily Vitamin Packs similar ideas? Try to explore these searches: Balmain Watch, Lace English Shade, and Ford Factory Radio Auxiliary Interface. Look at latest related video about Daily Vitamin Packs. Shopwizion.com is the smartest way for online shopping: compare prices of leading online shops for best deals around the web. 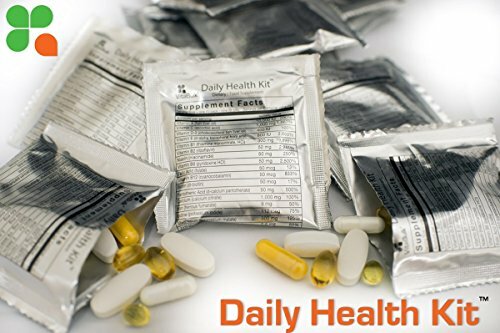 Don't miss TOP Daily Vitamin Packs deals, updated daily.